More customization for your auto email invoice checkout shopping cart powered by Blogger Blogspot template. Refer published update below for your reference. 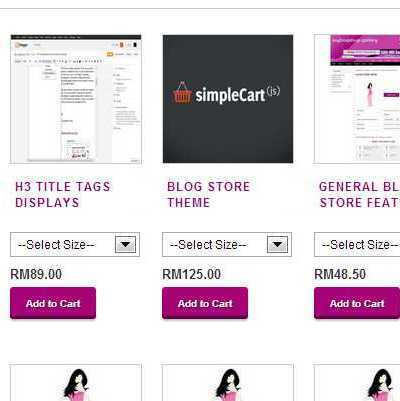 Included in this tutorial is the complete code snipplet and how to's, to fully optimized your Blogger My Blogshop Gallery Blogger template with the integrated shopping cart powered by simplecart.js. It is advisable for you to keep a backup of your existing theme if however your customization is not functioned/working correctly. Add custom checkout form and bloshop data to display on checkout. Add custom "Thank You" page after successfful checkout submission. 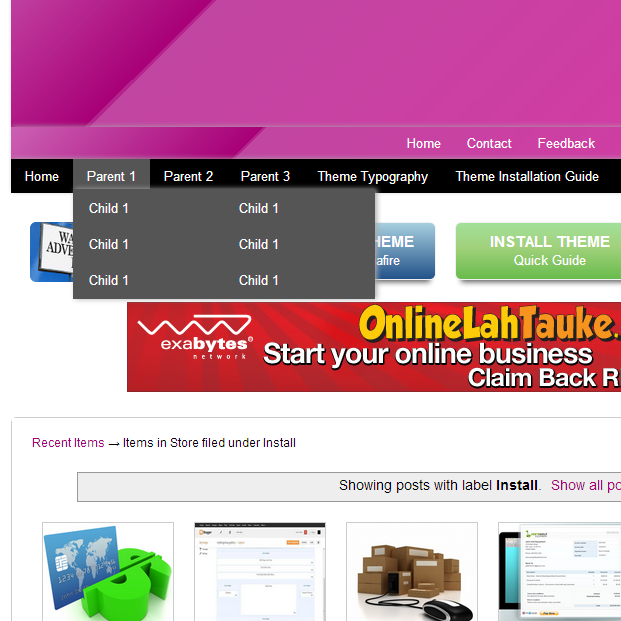 Add drop down menu navigation in Blogger store / shop template. Please include your e-mail and verify. Your personal tutorial code / password will be sent to you via e-mail. Check your inbox and copy the given password into the password button/box below to view your personal My BlogShop Gallery installation tutorial. Full tutorial and code snippet will open HERE once valid password entered. Please review UPDATE section below for more information. Current users can remove the "http:" from your leading url in order to pass through the e-mail validations. The example is as shown above and changes must be made at the e-mail invoice setting section. For more inquiries, please use inquiry/comment form below or contact us via our contact page. Now it's really so easy to do business with your blog, and look good too!